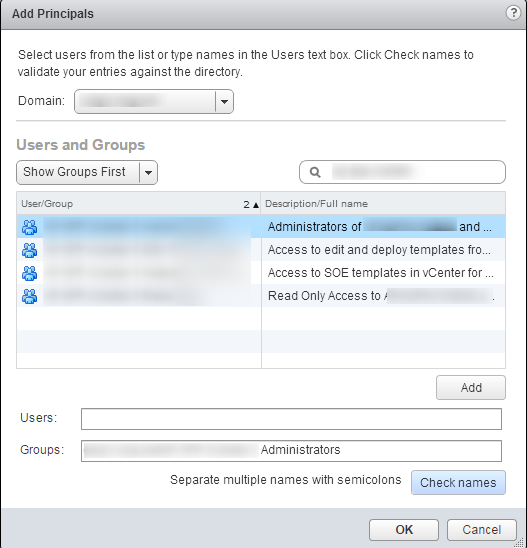 19.5: Also for Users and Groups select Show Groups First from that drop down. Add the name of the group you want to add and search. Select the group name and click Add then click Ok.
19.6: The group will now appear under the adminstrators of SSO and means that they have rights to change the SSO password if needed. 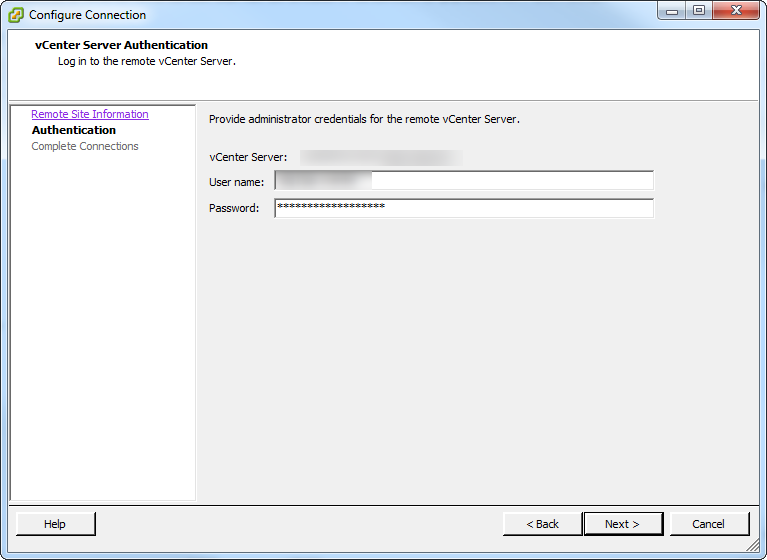 I have seen in the past the SSO password expiring and the domain accounts didn’t have administrator access. Nightmare. 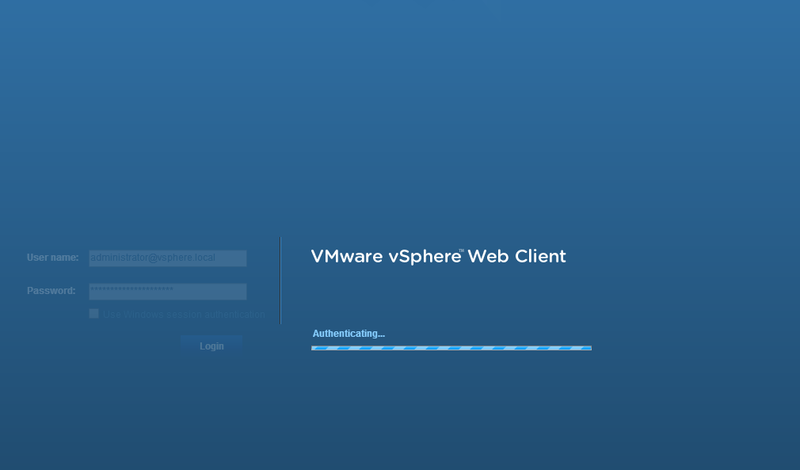 As I’m using a multi-site SSO this process will need to be followed on both vCenter servers. 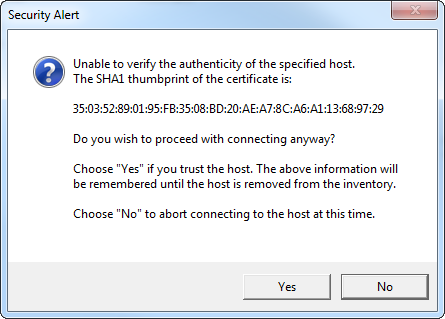 19.7: This may not be an issue in most environments but I ran into this problem where HA kept trying to enable on a two host cluster but continually failed. 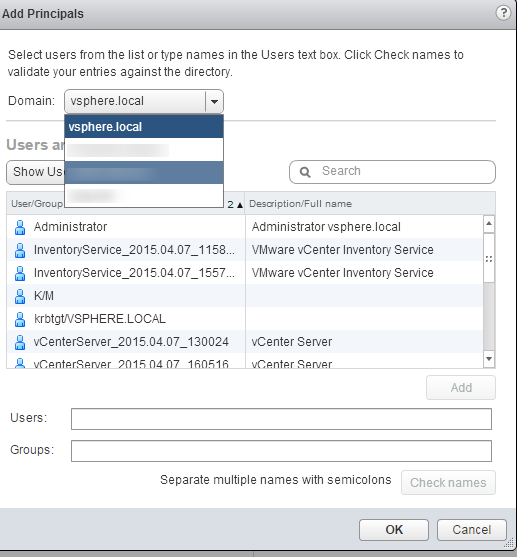 19.8: It put the Configuring vSphere HA task into a look. 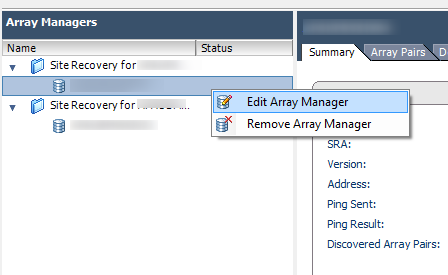 It also showed other issues on the Summary tab to say that vCenter was unable to find a master vSphere HA agent in the cluster and that vSphere HA host monitoring was disabled. 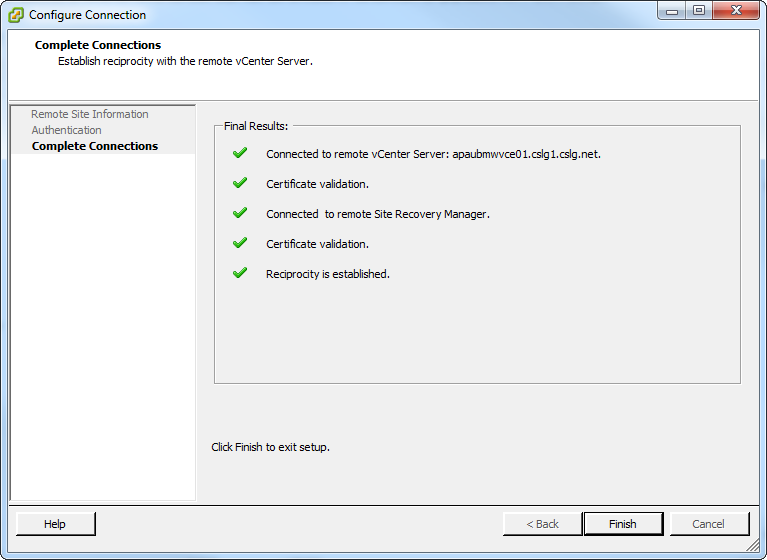 19.11: Following its removal from vCenter I logged on via putty to the host as I don’t have ILO access to the server. 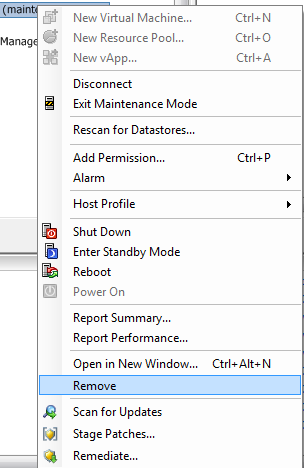 From here I ran the following commands to restart the ESX host agent. 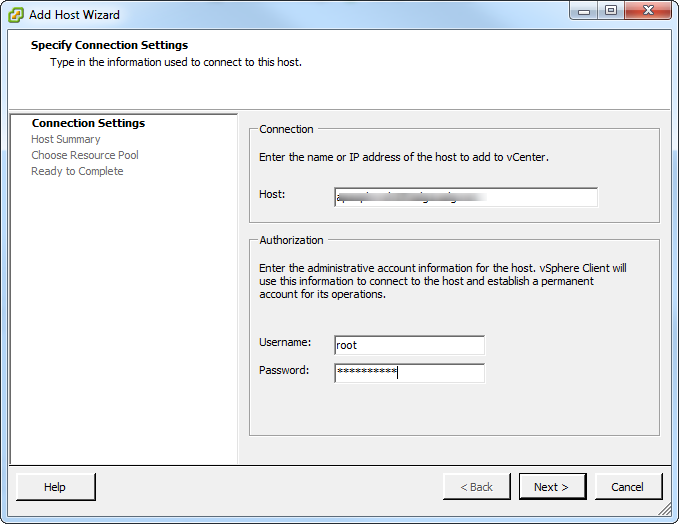 19.13: Add the details of the host and the admin account details. Click next. 19.20: Exit the host out of maintenance mode. 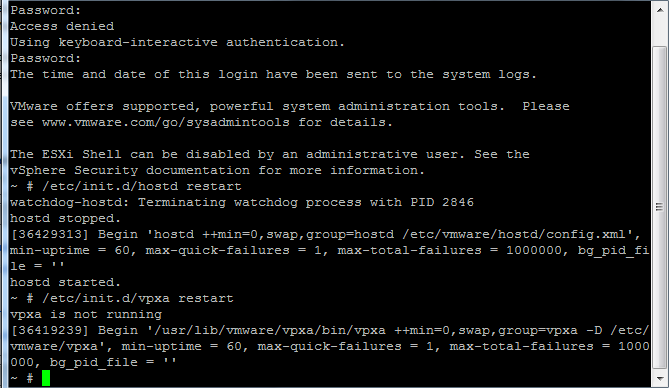 19.21: One problem I had here is that the ESX host would stop responding each time I tried to vMotion a VM onto it. 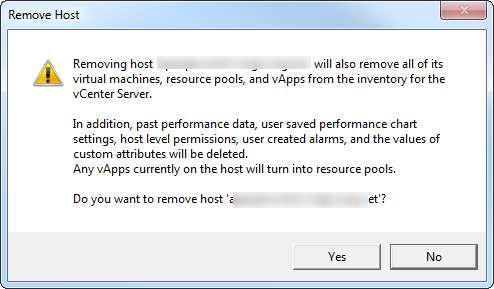 I decided to reboot the host just to have a clean base. 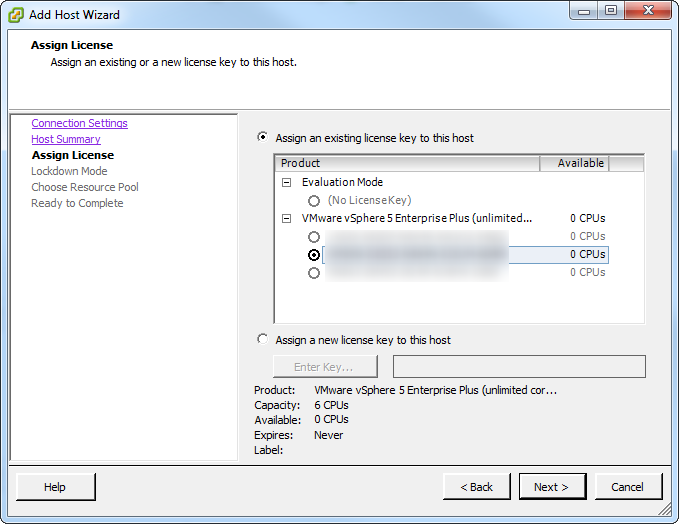 Repeat the above steps on the remaining ESXi host. 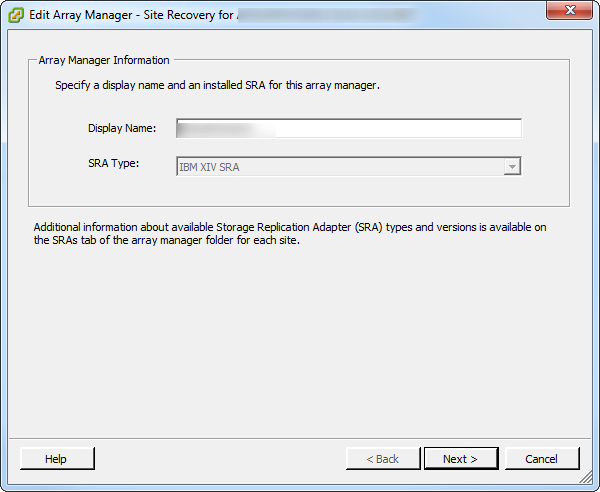 After the reboot of both hosts in the cluster I re-enabled HA and it took effect this time. 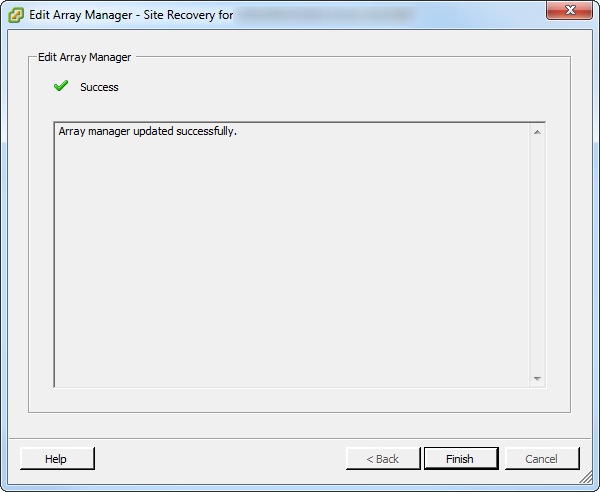 19.30: The array manager will now scan through and if there are no issues the connection will be successful. Click Finish to complete. 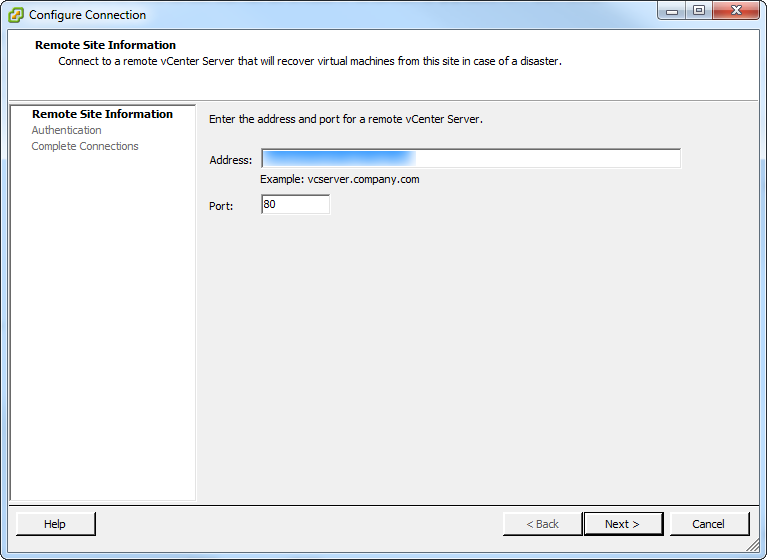 19.32: Go to the vCenter server in vSphere client. 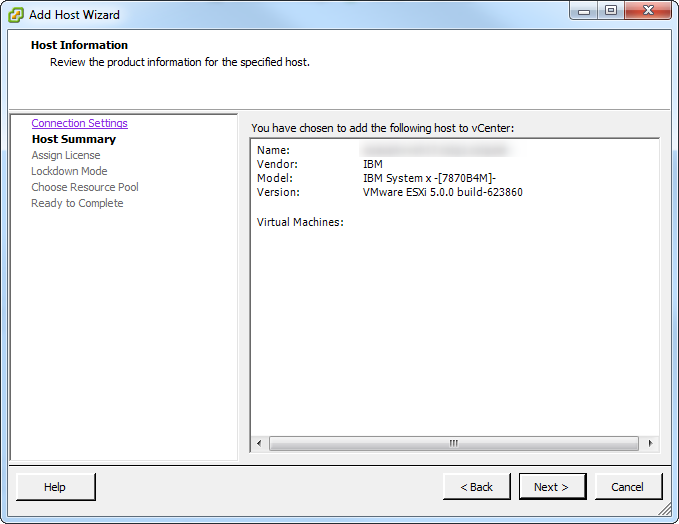 Right-click on the VM and select Snapshot -> Snapshot Manager. 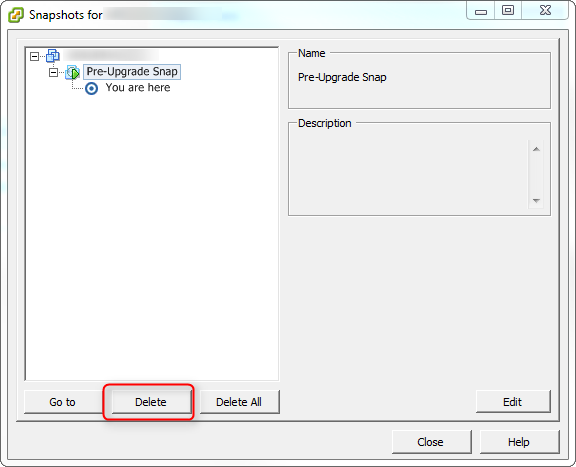 Select the snapshot that was taken before the process began and select Delete. 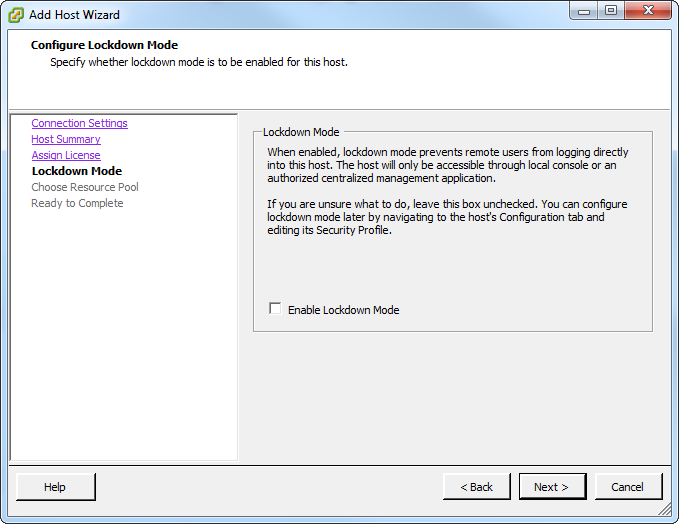 This will remove the snapshot and clean up the environment. 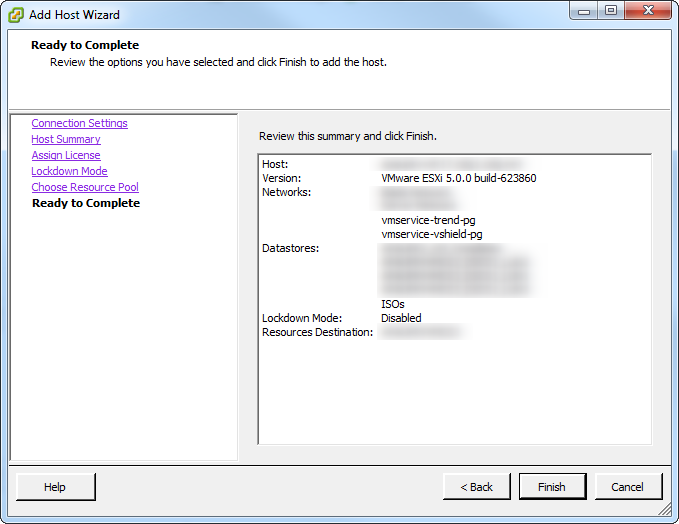 This entry was posted in How-To, SRM, vCenter, VMware and tagged ESXi 5.5, SRM, vCenter, VMware, VMware Upgrade. Bookmark the permalink.